Welcome to my new series of posts that I hope will give a little insight to how I function on a day to day basis with little or no sleep. 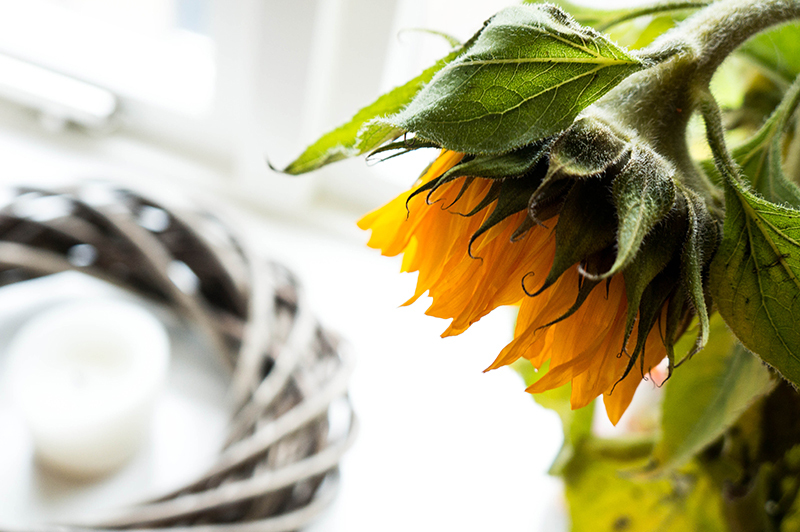 Getting up out of bed can be a real challenge for someone that has had a difficult night, and this can often impact what you choose to do (or not do) to your hair. If I'm feeling particularly lazy, I'll grab a hair tie, put it up in a ponytail and be done with it, but what about the days when I want to do more than just hide it away? I know that when I make an effort I can be head over heels with my locks, but it's a rare occurrence. First thing I need to make sure is to keep my hair in check every 4-6 weeks. I'll have a look at my split ends, judge the length and see whether a neat snip is in order. A low maintenance hair cut is key to getting out of bed and being able to add a quick bit of texture without the fuss of standing in front of the mirror for an hour. I went for the big chop a good few months ago now and getting a long bob, or 'lob', was one of the best choices I made. There's less hair to stray, less effort to fix it in place and definitely less time spent blowdrying it. Speaking of blowdrying, investing in a hair turban can drastically reduce how long it takes to dry. I tend to wash my hair in the evenings, put it up in a hair turban and grab my Kindle for a half hour of reading. Once I've let it loose, the hair isn't sopping wet and I'll dry from the bottom up. Seems a hassle but you'd be surprised how much quicker this process is than doing it straight from the shower. Just don't forget your blow dry lotion to protect you delicate tresses! If you prefer to leave it wet and let it dry naturally (this is me 99% of the week) then a little product that makes my hair dry into natural waves is the John Frieda Frizz-Ease Dream Curls Enhancing Oil. A few drops of this and a couple of hours later my hair looks tamed, manageable and like I spent a huge amount of time perfecting 'barely there' waves. Or if you like to look polished and über sleek, the Bumble & Bumble Grooming Creme is a real lifesaver! The smallest squeeze of the tube, worked through damp hair makes styling a dream. There's never a hair out of place and there's real lift from the root I can't achieve with anything else in half the time. If you haven't had time to wash your hair at all? I would hope that every girl has a can of dry shampoo somewhere in their drawers. A quick spray and not only does it remove any trace of oil, but it adds a bit of texture that's very easy to comb through to the ends and breathe new life into limp hair. I'm particularly partial to the Batiste Dry Shampoo as it's friendly on the purse and offers a variety of scents and even has a range that includes a hint of colour. This is very important for covering up my alopecia patches, in case the wind takes hold of my hair and I'm left rather embarrassed! Another product I reach for if my hair is at the 'in-between' phase is the V-O5 Give Me Texture Dry Texturising Spray. It's the perfect 'pick me up' for you hair that seems to take control and make my poor effort look a million times better. 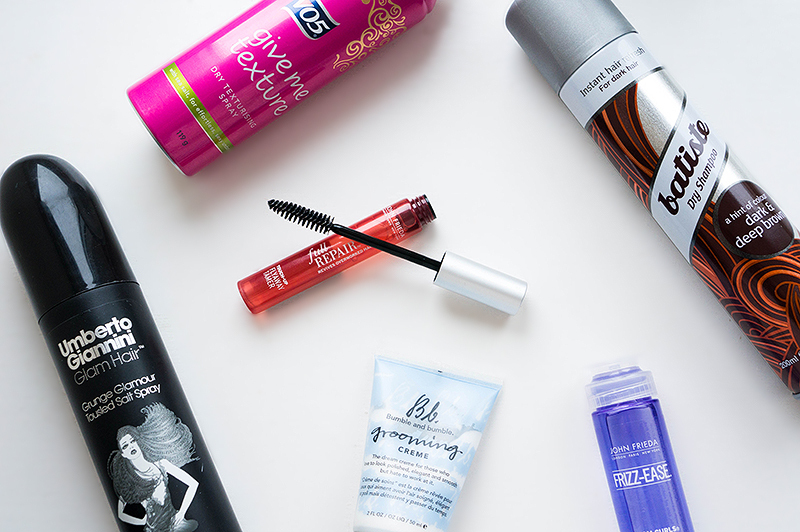 This paired with a good hairspray and you're onto a winner in less that 5 minutes. Lastly there's the products I reach for the day after a hair wash, the ones that perk everything up and stop what threatens to a bad hair day. The Umberto Giannini Glam Hair Grunge Glamour Tousled Salt Spray is my go-to for just such days. It gains great results from damp hair but I find there's an extra dimension to using a few generous sprays of this on bone dry hair. Careful to avoid the roots, massage the product all the way to the ends of your hair and tousle haphazardly with your hands. If you're feeling adventurous, grab a comb and give the roots a little backcomb as this will last all day. Then, for touch-ups, I pop the handy John Frieda Full Repair Touch-Up Flyaway Tamer in my bag. I don't tend to use it a lot, but on days where I haven't even had the opportunity to run a brush through it let alone any hairspray, I'll glide the wand down any problem areas and it's like a new head of hair! What are your hair saviours? When you've only got 15 minutes to do your face and your hair, what do you find yourself reaching for time and time again? 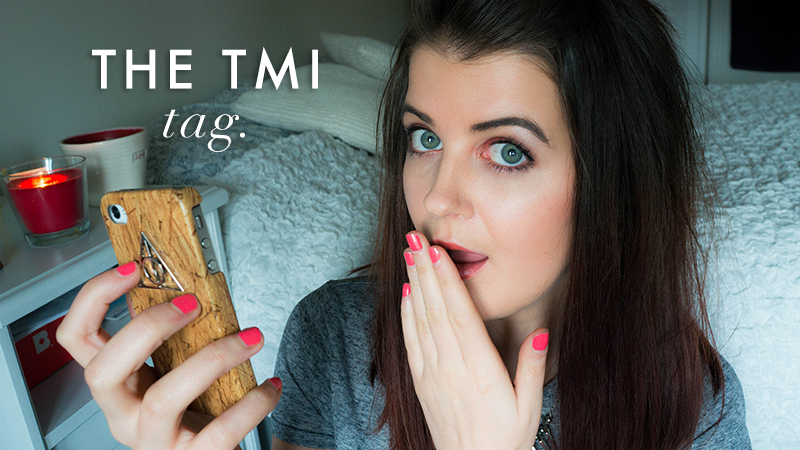 I've seen the TMI tag making the rounds at the moment on YouTube and didn't know what else to film on the weekend, so I looked at the questions and figured I'd take a stab at it! This is my first post of this sort, just in time for the end of the first month of the new year, woohoo! It's the perfect opportunity for me to introduce to you some of the lovely individuals that have been sponsoring Late Night Nonsense for the month of January. Grab a mug of something hot, put your feet up and have a gander. Danni of Gingerbread Smiles is a 22 year old from the North East of England who has a little obsession with gingerbread men. She blogs about anything that interests her, from beauty products she likes, food she's tried to cook, places she's been or cool things that she's bought. She enjoys writing about her experiences, using her blog as a platform to share them on. If you haven't taken a look yet, I'd highly recommend it, especially Danni's nail design posts as she creates them so perfectly I can only sit back in awe! Laura is a 20-something Northerner now living in south-east London with her fiancé and their flatmate. She blogs at Cherry Soda, where she mainly writes about beauty and lifestyle (including lots of book reviews and days out) but with a bit of fashion and wedding stuff thrown in too. Why not pop over an say hello sometime? If you fancy advertising your blog or small business on Late Night Nonsense through the month of February, get in touch as I still have some medium and small ad spaces left. I offer competitive packages at affordable rates that cost as little as 13p per day! I've been meaning to do one of these posts for a long time now. It wasn't until I was planning out my posts for the week that I thought it was about time I put it together! January makes me think of what I can do to improve myself and that goes double for my blog. So on that note, here are a few blogs (in no particular order) that I simply can not be without and inspire me to push my blog to new heights. Jen's blog talks to my inner lust. Her ease with words and highly descriptive reviews never leave me with more questions than when I started reading. 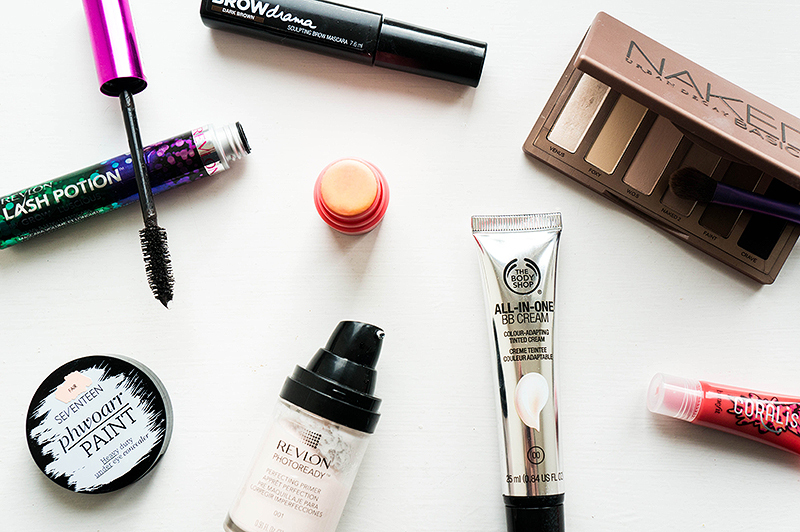 More than a few products have made their way from the shelves to my basket thanks to her posts. 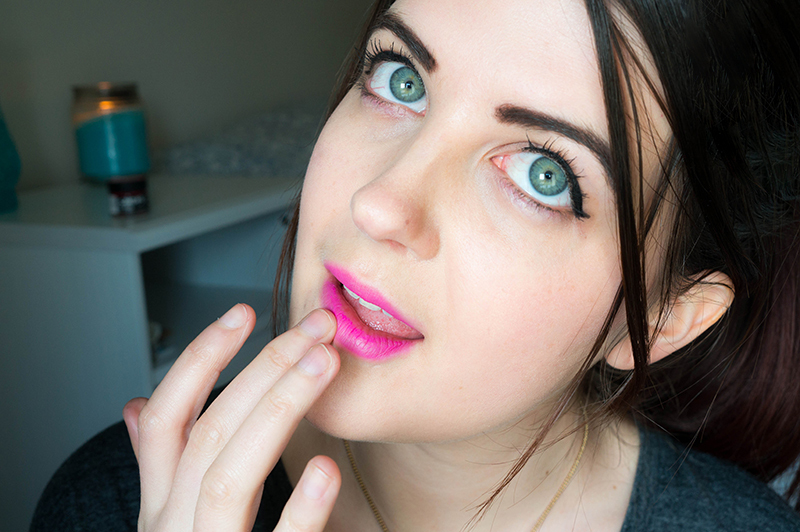 Jen is an effortless beauty, which makes those lipstick swatches holy grail status. The eternally beautiful Brittany is a recent addition to the list, but a lovely girl that seems to hit just the right note when it comes to product reviews and swatches. It hasn't taken much for her to fast become one of my top enablers, girl knows how to sell a product! Bright pictures, wonderful content, just the right mix of reviews, lifestyle posts and everything between. What's not to love about Ella's little slice of the internet? Even her layout makes me want to get my design head screwed in to update my own. Take a moment to look through Lillian's blog and you'll be blown over by the scope and depth each post brings. A girl in the United States that has a penchant for all things French, and it's pulled off to such a lovely effect. She has me lusting after products I can't get hold of on a weekly basis! Annabel has recently updated the look and feel of her blog, which hugely compliments what gorgeously light photos she takes. It's no wonder Kate took her on to contribute to Nouvelle Daily. Some of my all time favourite posts are her nail reviews, which make a nail polish pessimist like myself actually want to experiment a little. If you haven't seen this blog, I highly recommend clicking through and immediately following on any and all social platforms that you can. Rebecca takes stunning photos, making me instantly want to add yet another product to my collection and her reviews are so insightful and concise that I can easily spend hours in the archives. I met LaaLaa back in July, at a Panasonic blogger event. Everything was a little awkward at first as none of us really knew each other but as we were sipping cava and gossiping about our hairstyles, we just clicked and since then we've been as thick as thieves! Skip over to her blog and Laa's glorious personality really shines through. Bonus? She doesn't review anything that is tested on animals and it's all vegan friendly. The posts from Michelle make me want to try more with the fashion side of my blog. Her style is impeccable, mixing textures, colours and dressing for her height to such great effect that I feel even I might be able to pull it off if I could just stop spending money on anything other than my makeup drawer. Plus, Michelle scatters really intriguing lifestyle posts in there that really give an insight to the girl behind the blog. Katie is such a laugh, let's just use that to start with. Not only does she do up to date reviews on a variety of products from the high street but she also balances high end makeup, making the whole process of "Should I? Shouldn't I?" a lot easier. She also has a Youtube channel that has me in stitches. Coco has been on my list of blog reads for a long time now. Her tutorials are so informative and her skill with makeup is second to none. Not only that, but she's beautiful and such a wonderful person! If you can spare a few minutes on the weekend, pop one of her videos on and learn something new, you'll be glad you did. These lovely ladies are just a small handful of the individuals whose blogs I adore. 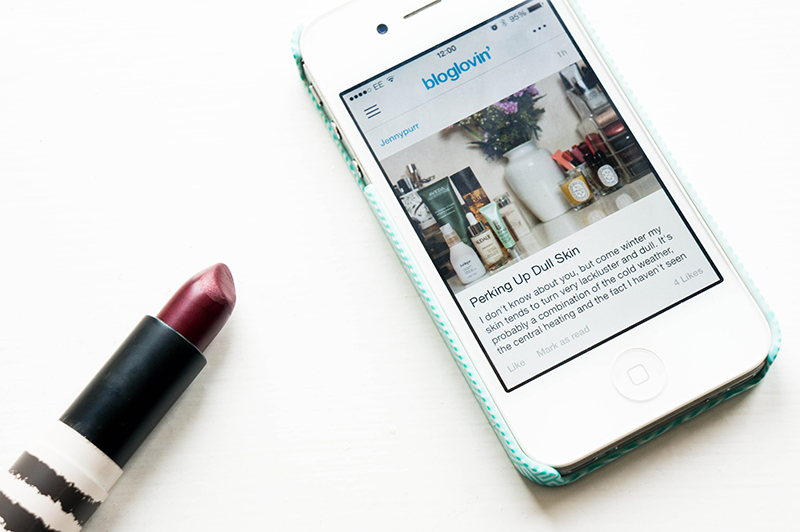 Who do you click onto Bloglovin' to scout out or who makes you smile and nod along with every word? Leave a few of your favourites for me to check out and expand my list. Since having this glorious palette at my disposal, I've been trying out my usual trustworthy shadow combinations, but I figured if I was going to make a video that I needed to step it up another level. There have been plenty of tutorials for everyday wearable colours from this palette, but I'm showing off the right hand side of the palette and just how experimental you can get without having to resign it to nights out. You read that right, not blurred lines, blurred lips! It's the trend that's set to make the imperfect, perfect and looking damn cool in the process. It's time to get out your leather jacket, backcomb your hair, crack out your best cat flick and then try this neat little trick on for size. This is the most simple makeup trend going, and all it requires is your favourite lipstick and one of your fingers. I opted for a deep, vibrant pink as it's set to be big for this coming S/S, but don't forget the Pantone colour of the year (Radiant Orchid). There's no messing about with a lip brush, just apply the colour directly onto the lips from the bullet, building up the colour in stages after blotting. Once you've reached your desired opacity, use a finger and press along the lip line to give it a blurred and soft edge. If you prefer an even more extreme version, only apply lipstick to the centre and use a lip brush to blend outwardly. This way you can achieve a true gradient and turn those night time colours into ones you can wear to work. The less defined the better, you want that lipstick to almost bleed into the outline of your lips. It's got such a grungey vibe to it, perfect for shaking up your typical red lip or going crazy with an old favourite. I will be using this on most of my looks going forward, to hell with lip liner! The lovely individuals at Birchbox got in contact recently to see if I wanted to try out their beauty box subscription service. As anyone that reads my blog knows, I'm picky when it comes to beauty boxes and have fairly high expectations. So what did I think of this offering? 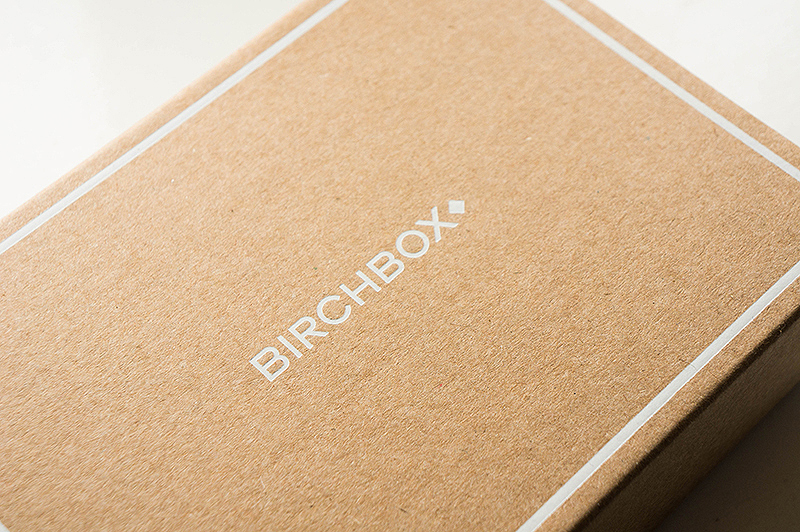 Birchbox has such a great design aesthetic that, as a Senior Designer, I can't help but fawn over the box alone. Upon opening, the first thing I noticed was the card detailing what was in the box and an introduction for 2014. There's also a little book of manageable, bite size resolutions which I found to be a lovely touch. I opened this box fairly late at night with my bedroom lights on, and I found it quite difficult to distinguish the yellow from the white. This is always a problem designers face when printing yellow, but I was actually quite shocked at how little I could make out. There's some key call to actions that appear in yellow and it was all lost to me until the morning after. After delving into the main content of the January Birchbox*, I was quite surprised to find that the products were only separated by a little bit of tissue paper. Not a massive concern, but products have been known to leak and break, so the packaging seemed a little off. When it comes to the products themselves, though? Having another travel sized Benefit The Porefessional is also going to be a welcome sight to any beauty blogger worth her mustard. I use this every so often and it keeps my makeup in place hours longer while reducing my pores. It glides on like silk and is a great little sample to have in the set! Another big brand name belonged to Philip Kingsley, which showcases a little tube of their Moisture Balancing Conditioner. After greedily using up my can of the One More Day Dry Shampoo I've been aching to get my hands on some more products before I part with the big bucks. The conditioner is meant for medium textured, wavy or dyed hair which I think I tick a few of the boxes for, so go into my next hair washing with an optimistic outlook. The brightest of all the samples is the Rodial Bee Venom Moisturiser which made my mouth open aghast when I saw the price of the full size tube. I'd expect this to turn my skin to gold for £150, but I am quite excited to try this due to the stem cells that are present in the formula, just not entirely happy with the premise. Seems like quite a controversial topic… The Vasanti Detox Nutrient-Rich Purifying Facial Cleaner looks a little cheap to me, but claims to wash away toxins and makeup. I'm always up for trying new skincare products, which I hope blows me away as the packaging is so poor. I also felt this was the case for Premae Anatomy Nutrients Instant Renewal Body Oil, but my skin is crying out for some hydration are a particularly dry winter. 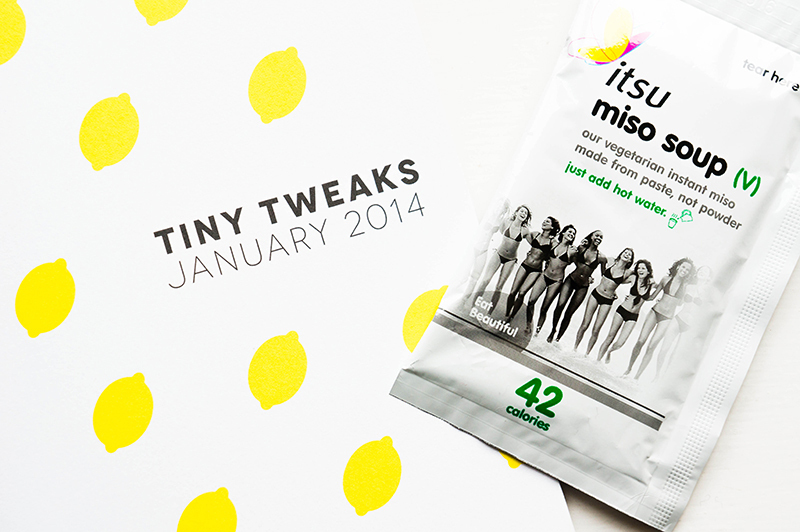 The lovely addition of a packet of Miso soup from Itsu was a nice surprise, I do love Miso soup and at 42 calories, so should everyone else! I'm looking forward to properly trying out all of these products in the near future, and hopefully taking a leap of faith on some of them if they live up to expectations. I have been impressed with the big names like Benefit and Philip Kingsley in there, and being introduced to brands I've never heard of which is the way we can really scale the breadth of the beauty blogging world. One or two full size products within the box might be a nice addition in future boxes, but that's just me trying to damage control my sample collection. Happy Birthday Birchbox, let's hope 2014 is a good one! A Birchbox subscription is £12.95 per month (including P&P) on a rolling basis but they also offer 3 month , 6 month and yearly subscriptions. Great if you like to try new products that you might otherwise have missed or can't decide if you truly want to invest. 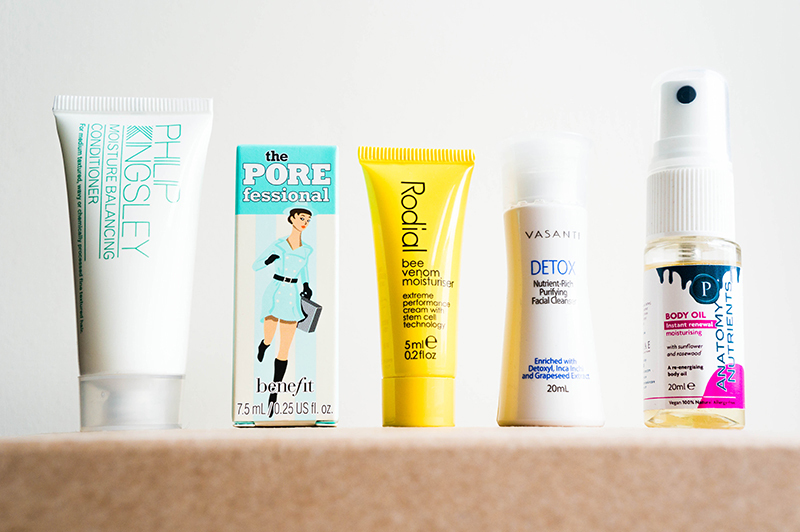 Do you have a Birchbox subscription? What do you think of this months samples? I don't know about you, but in the winter my lips get super dry. Well, they're dry all year round but this season definitely doesn't help! I've made it my mission to try more with my lips and I'm partial to carrying several lip balms and salves around in my coat pockets and bag. Before applying your next coat of lipstick, why not treat your lips to a mini-pamper session? Starting out it's always easy to slather on a bit of nourishing lip balm. It softens the lip surface enough to work with, and gives your lips that much needed initial injection of moisture. 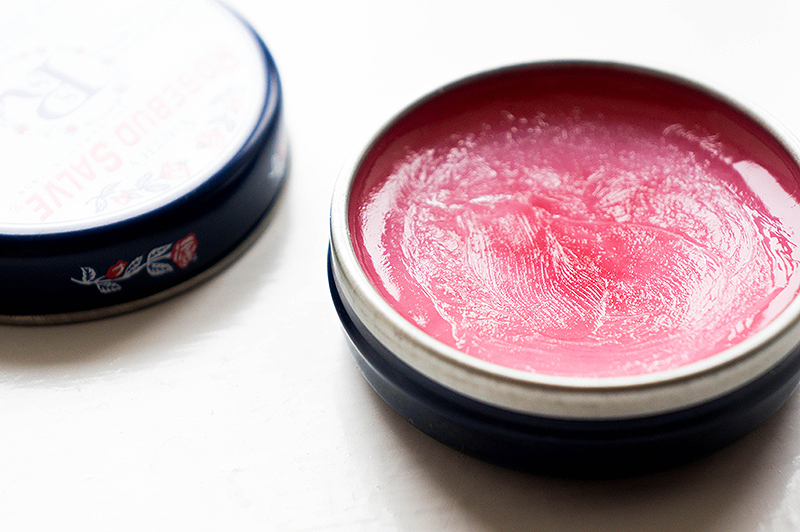 I tend to lean toward Smith's Rosebud Salve, as it's intensely hydrating with a mixture of oils. Think Vaseline with a kick! 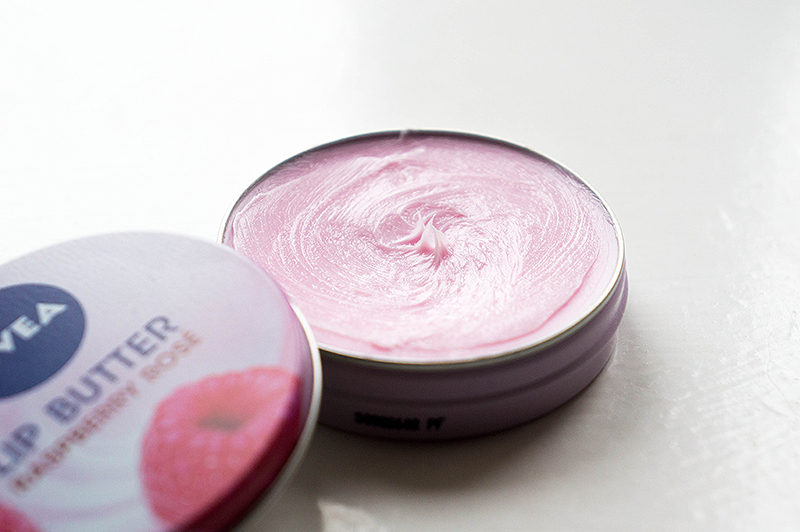 Alternatively, Nivea Lip Butter in Raspberry Rosé is a thicker formula that I only have to re-apply every 4 hours or so. If you don't want to go this route, just use some water. Apply a generous layer of lip scrub, making sure to coat the entire top and bottom lip. There are a few out there if you look hard enough, but I have a soft spot for the offerings from Lush. Currently I'm using Santa's Lip Scrub, as it's cola flavoured, bright red and has these cute little edible hearts in there too. They have a bunch of different flavours and often come out with limited edition ones that you should snap up before they sell out! Take your finger and really go to town scrubbing it in circular motions, back and forth across the lip. Sometimes I'll repeat steps 2-3, just to make sure I've taken off that hard top layer. For added exfoliation, you could always use your toothbrush. Lightly rub the bristles over your lips like you would the scrub. 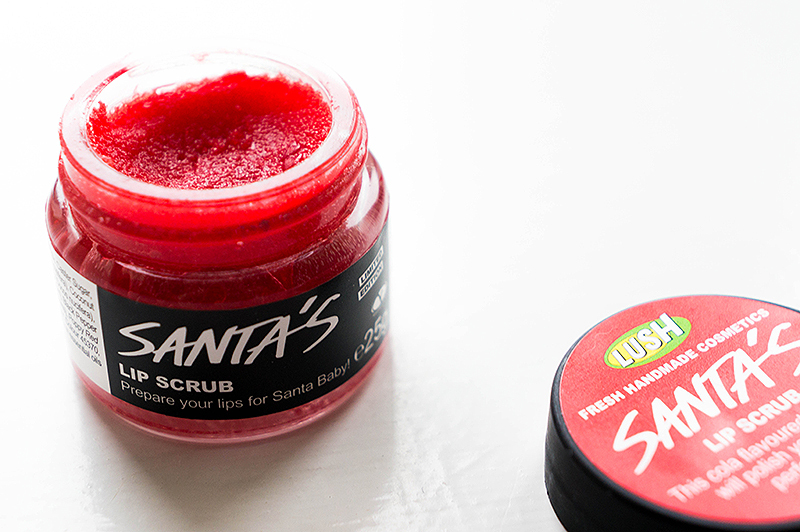 If you've got an edible scrub, give your lips a good lick and wipe away and excess. If you're not so fortunate, a soft flannel work equally well. The last step is a great one to get the hang of before applying any other lip product, and that's to put a layer of lip balm or salve on. It stops any dehydration from your lipstick, and keeps your lips in perfect condition. A product I reach for all the time is Cymex. This little yellow tube has saved my sanity on many an occasion, sorting out those dry and flaky troubles that can occur in the cold weather. But if I want to go without colour but to add dimension, I apply The Body Shop Natural Lip Roll-On in Orange. It gives me a 'gloss' look that's moisturising and non-tacky. Don't lick your lips! As tempting as this can be, and feel like it can help those dry, flaky areas that you can't seem to moisten, DON'T! Saliva actually drys out your lips, and is a sure fire way to exacerbate the problem. This goes double for biting, which we can all be guilty of from time to time. 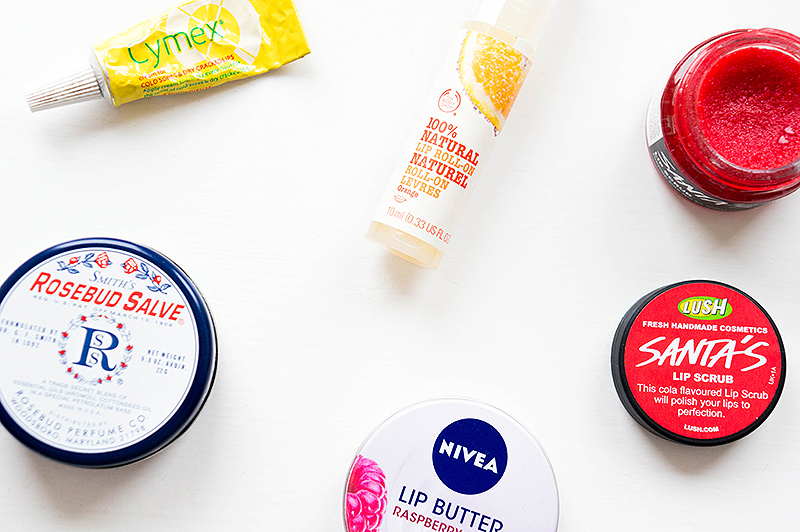 Throw away your crappy cheap lip salves and balms and opt for something moisturising. You need your lip product to work for you in the best possible way, and that means creating a barrier that seals in moisture. A good lip product will most likely contain vitamin E or nourishing oils too. Believe it or not, water isn't just good for the skin on your face and body, but it's also vital to keeping your pout in tip top condition. Want plumper lips? Drink more water! For Christmas, my sister-in-law (or boyfriend's sister to be more precise) got me a far few gifts. I was utterly spoilt but hugely grateful! 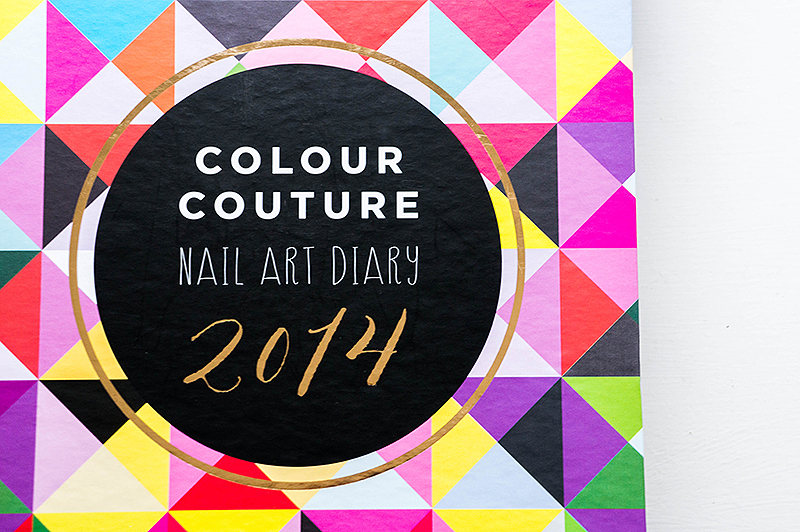 One of the gifts was this amazing Colour Couture Nail Art Diary 2014. It reminds me of the Ciaté Advent Calendar but on a month by month scale, meaning there's something to look forward to year round. I finally got over the panic of the last few weeks, and sat down with a cup of tea in hand to properly look at January's offering. Unfortunately the polishes themselves don't come with names or any kind of identifier, but that's such a small detail when the nail polishes are utterly gorgeous! For now, let's call the polish January. 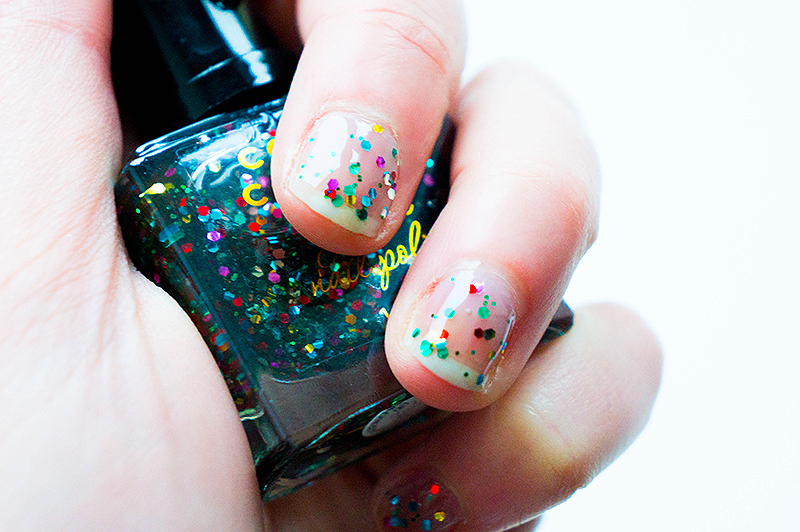 The bottle actually reminds me of the American Apparel polishes, which is no bad thing at all. There's plenty of product, and looks great with being displayed on the dresser each month. 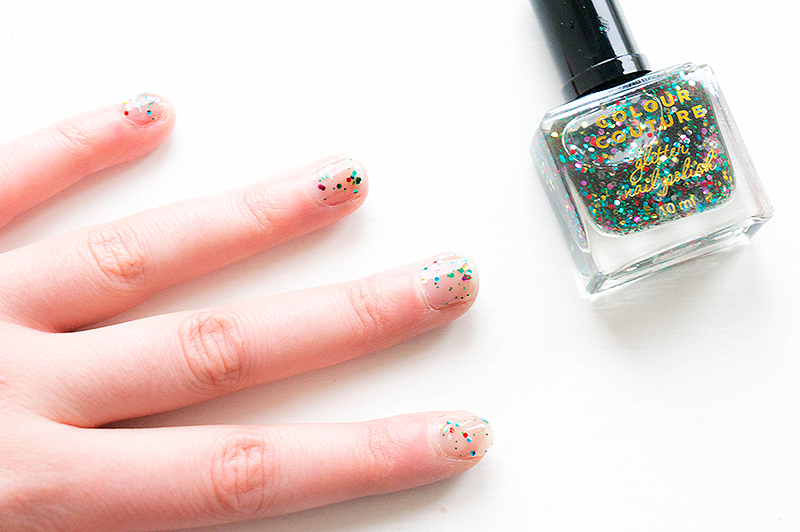 'Starting the year off with a bang' is no better way to explain the glitter present in this clear polish: flecks of red, green, yellow and purple. This will look stunning teamed with a darker colour for reflective interest, but still works wonders over bare nails. Setting time is rather long, so be prepared to have a good book or TV show to hand. I can't wait to see what February offers up, and I'm trying to be good and pace myself where that is concerned. Let's face it, there isn't much to look forward to between now and when it starts getting warmer, so I'll have this as my personal treasure trove. What do you think of the nail polish calendar idea? I'm a brow girl, through and through. I can't get enough of filling them in when they're sparse, defining them on a night out and just running some clear gel through them to set the unruly strays into place. I have quite big and bushy brows, so I'm constantly on the look out for new products to cut the time it takes to up my brow-game, before work especially. 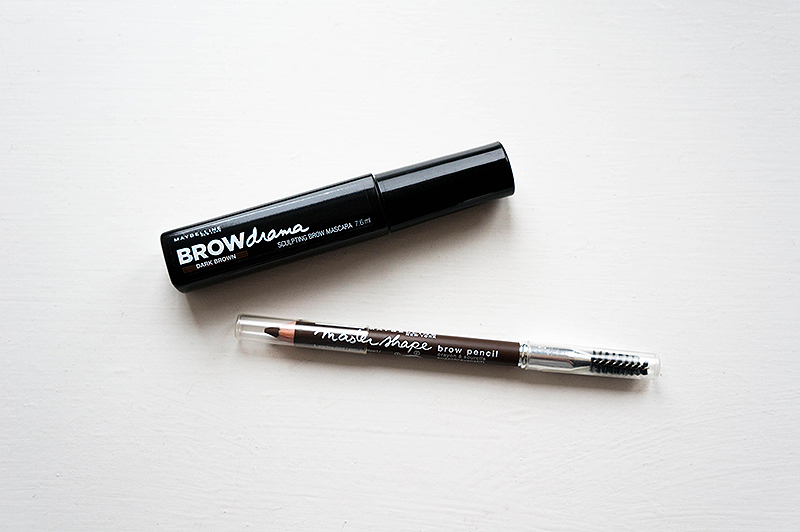 I'd been seeing Maybelline Brow Drama, £4.99 pop up on many a beauty blog, and let it slip under my radar as I thought it look like a whole lot go hype and not much of a product. It wasn't until I was perusing the aisles of Superdrug that I got to have a play with it, and get a feel for just how it would slot into my routine. Now, I can't say I'm blown away. It hasn't transformed my brows into anything more than my HD Brow Kit accomplishes or my Urban Decay Brow Box sets straight, but it does take a fraction of the time. It does last all day, and doesn't leave that horrible crusty/flaky residue which I adore, as there's nothing worse than plastic eyebrows. There's not a huge amount of colour there, and I do find I need a little more in terms of filling in, but that's where the next product comes in. I haven't used a pencil brow product in years. Probably over a decade, if I can think back that far! 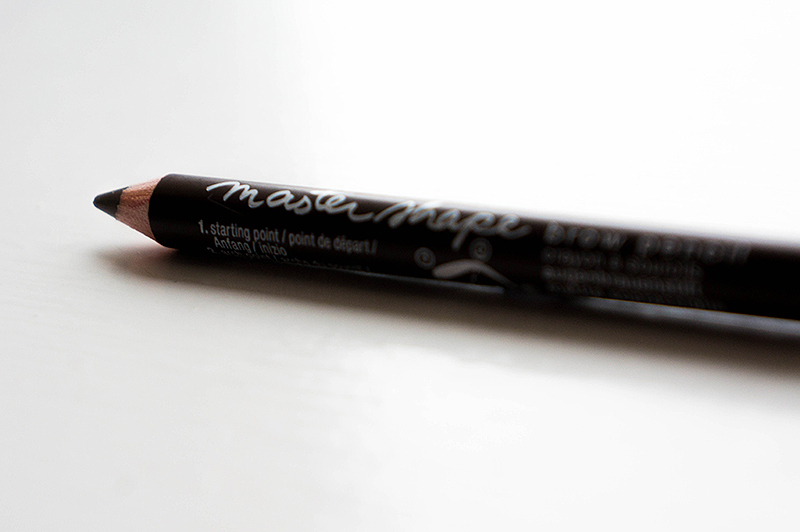 But the Maybelline Master Shape, £2.99 pencil caught my eye while I was trailing Brow Drama. 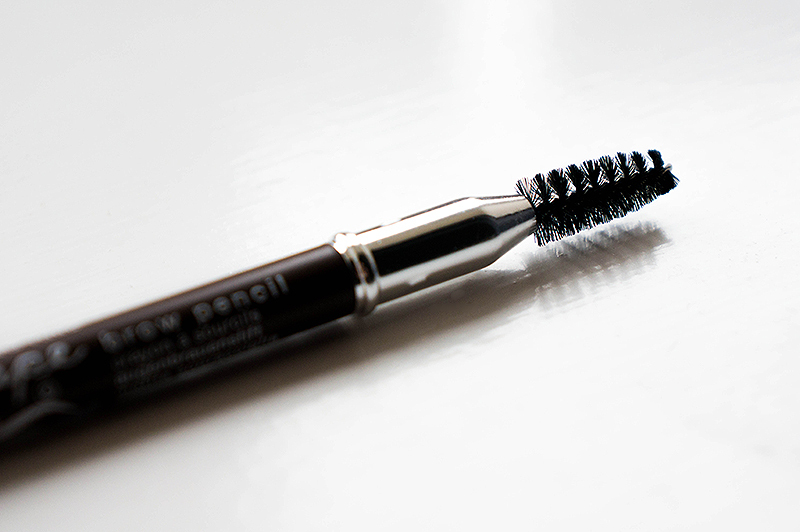 It's a very soft product, perfect to smudge into the gaps and gives off a lovely blended brow look. My main gripe is that I can really 'feel' it on my brows, that is fairly heavy and it almost irritates me that I can tell it's there, without seeing it. I do however love the spoolie that comes on the other end, just what I need for my unwilling brow hairs. It's still early days with these products, and my true test will be if it can stand up to my hectic weekday morning makeup routine. 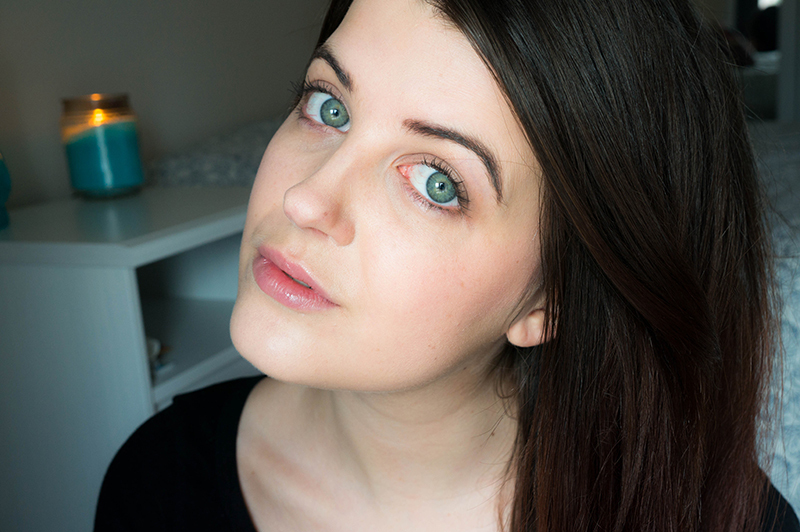 If I feel I can get away with just a sweep of Brow Drama, then I'll give it a big thumbs up. Anything to not spend half an hour in the dark, struggling with my face, so I can spend more time in bed. EDIT: After having used both products in minimal light this morning, I have to say that I'm more impressed than my initial thoughts suggest. Not only did it take me all of 30 seconds to fill in the sparse areas with the pencil, but it only took a few more to set them in place with Brow Drama. 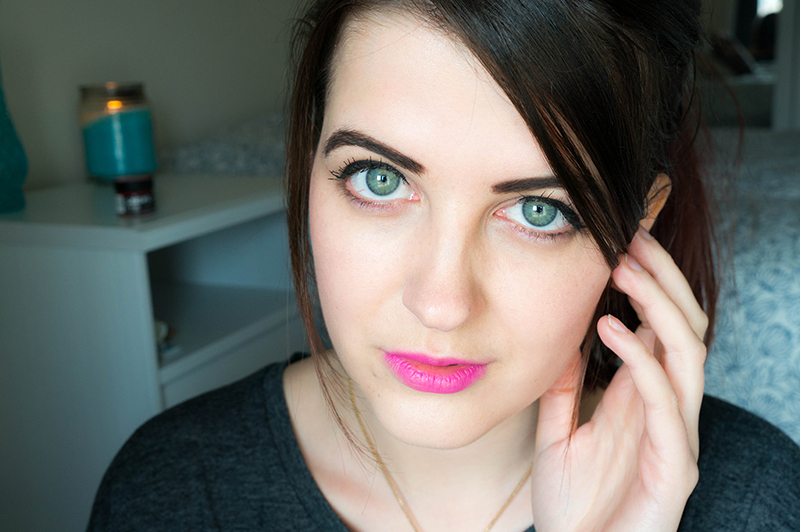 They're hugely simple compared to my usual brows, but the natural look is winning for me. 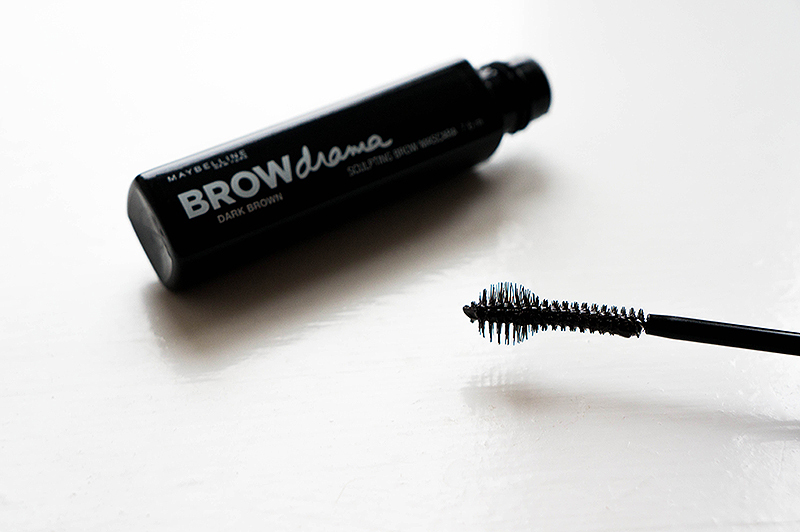 Have you tried Brow Drama? What did you think of it? 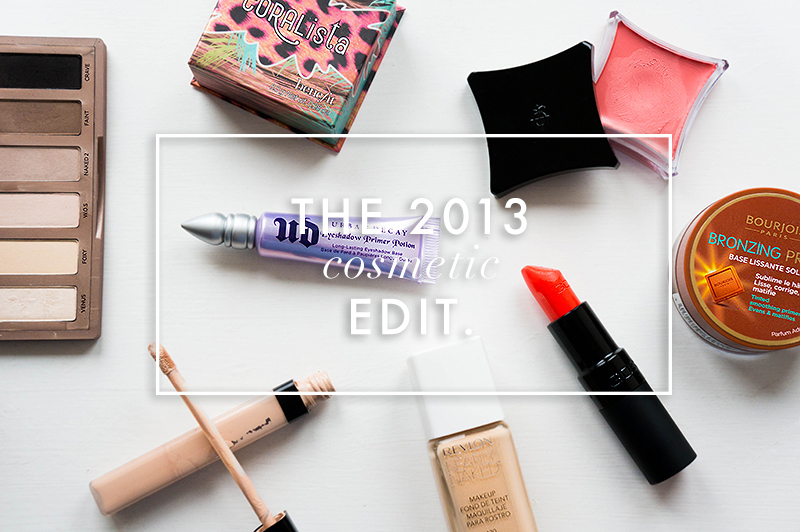 I'm back with my last round up of 2013 goodies! This time I'm sharing my skincare favourites: the things I just couldn't do without and the things that caught my fancy. 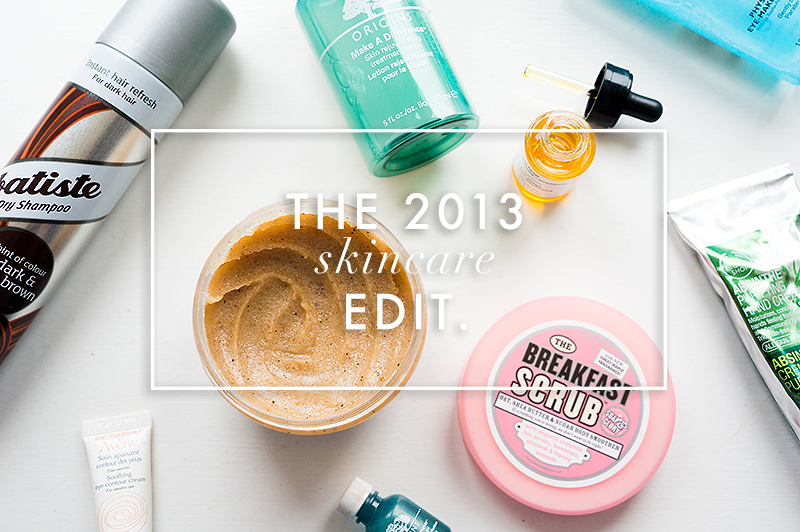 What have been your skin care saviours of 2013? 2013 flew by! I don't know about you, but I found it difficult to narrow down my favourite products from the last 12 months. I'm looking forward to a happy, healthy 2014. My resolutions are to be the fittest I've been (a tough challenge when I used to dance), drink more water and to spend equal time with my hobbies. What are your resolutions? 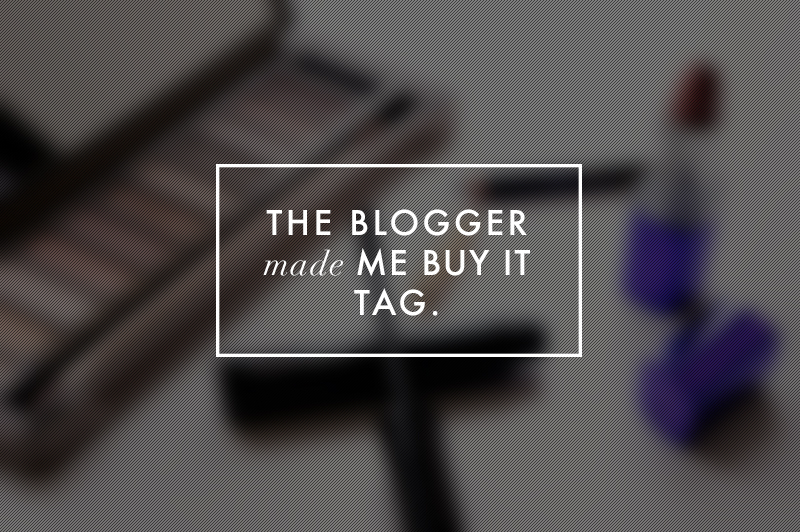 The wonderful Danniella of Famous In Japan created this fantastic tag with the knowledge that being a blogger means a dent in your bank balance. You can read all about her tag creation on the original post if you want to give it a go for yourself. This is such a difficult question, because it tends to change on a month by month basis. For right now though? I'd have to say that I get tempted to buy most items from The Beauty Milk. Coco seems to hit the nail on the head with the product photos, descriptions and also the way she trials the products. Estée of Essie Button has a massive impact on how well my bank balance fares pretty much every day. Milk Bubble Tea by Becky is my other vice. She just has the most gorgeous photography, lovely home-ware and it just makes all her posts a real delight to read. Once I spy something I like on any of these blogs, I just have to have it! There are the rare few reviews where I write the product down and promptly rush to the nearest store and pick it up. One I distinctly remember being the Bourjois Bronzing Primer. Estée was definitely an enabler that day! When it comes to the more expensive purchases I will read a few reviews from bloggers that have the same taste as me, but nothing beats testing the product over a space of a few weeks in store. I go pretty swatch crazy, and I think it helps cement those big purchases, making them seem less daunting. It's probably The Urban Decay Naked 3 Palette. 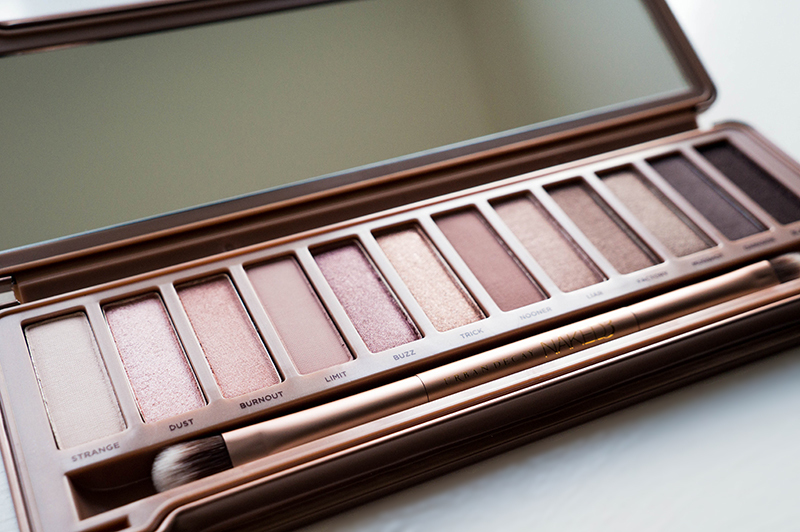 I was adamant that I didn't need this one, not when I had Naked 2 and the Basics palette. It wasn't until I saw the massive amount of posts that I realised just how much the colours appealed to me. 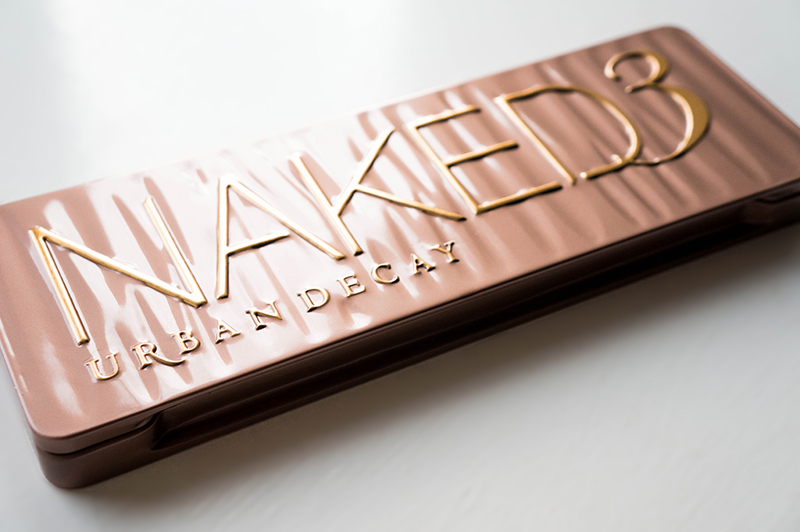 I'd never been truly happy with Naked 2, but Naked 3 has all the tones I'd been craving. I would also have to say that MAC Cranberry is a result of constant blog traversing, and I couldn't be happier with how perfect that colour is! I can honestly say that I've not been disappointed by anything I've bought as a result of blogger hype. I've been fairly lucky, and dodged a fair few bullets. The Maybelline Fit Me Concealer is probably the only thing I thought I didn't like, but now it's become a staple in my makeup bag! Urban Decay Naked 3 Palette, Urban Decay Primer Potion, Soap & Glory Girl-o-Whirl, Latest in Beauty GLAMOUR Beauty Box, The Body Shop Vitamin E Spray. 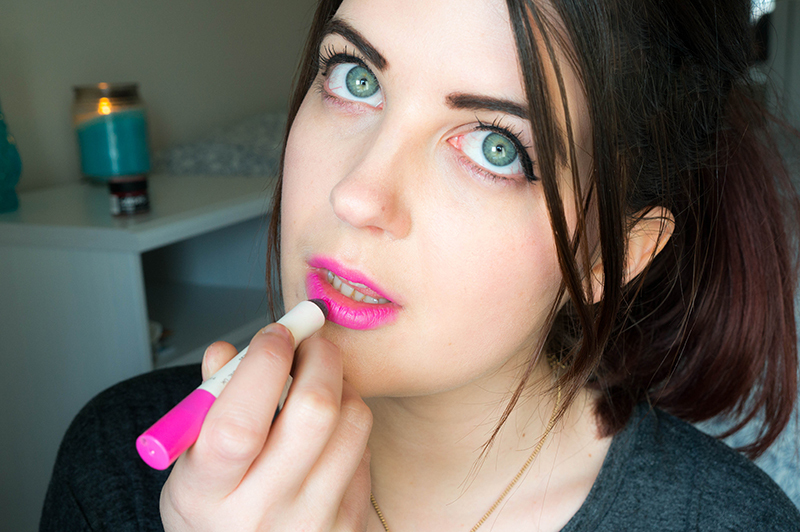 I went a little overboard and snapped up all the Bourjois Colour Boost Lip Crayons. I couldn't make my mind up from the countless posts, and decided that the only option was to have them all. I don't regret the decision, they are amazing lip products! Philip Kingsley Elasticizer. Seriously, I'm not entirely sure why this has been hyped so much. I can't honestly see myself paying out £50 for a rather ridiculous sized bottle of something that doesn't actually do anything. I may be wrong, but I just don't understand what it's supposed to do...? I like to try and scope out new products for myself, especially when a lot of people I read don't have the same skin type as myself. But that isn't to say that a lot of what I consider hasn't been blogged about at one point or another. A lot of brands I wouldn't have even considered have been introduced to me through other bloggers taking a chance on them. I'm a lot more savvy with what I spend my money on, beauty-wise than I used to be. And now I tag the following lovely individuals to have a go at this tag too! I don't need another eyeshadow palette. I don't need another eyeshadow palette. I don't need another eyeshadow palette. Oh BUM, I'm in Debenhams at the Urban Decay counter and I'm looking at another eyeshadow palette. Okay, so I bought another eyeshadow palette. 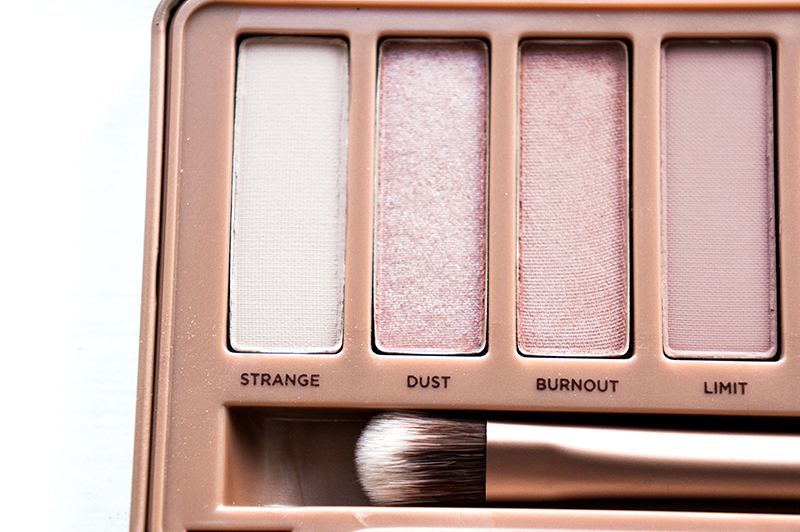 But there in lies the rub, Urban Decay Naked 3 isn't just 'another' eyeshadow palette. It's a rose gold beauty with colours unlike I've ever owned before. 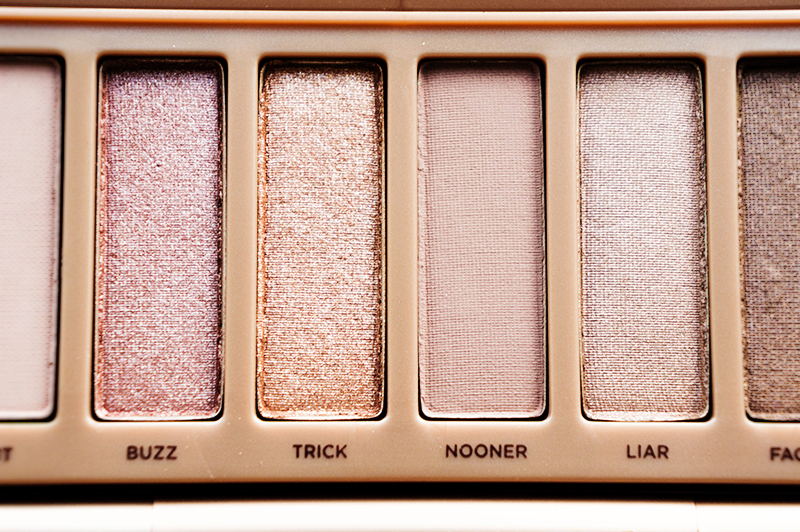 If you thought you'd have them all when you purchased the original Naked palette and then Naked 2, then you need to rethink just how little scope there is for the peachy, pink and gold tones. 12 stunning shades, of which 3 are matte and 9 are full of shimmer, all encased in a tin much like Naked 2 which is much easier for transportation and for keeping clean. I've been using Naked 3 nonstop for the week I've owned it, and it's so transferable from day to night looks. The left side of the palette leans more toward the light, subtle pink and gold hues that can easy blend together with minimal effort. 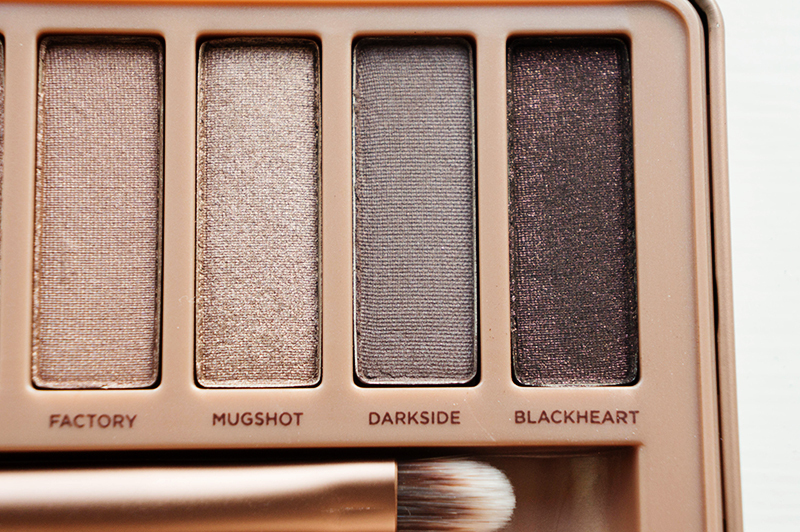 Then you have the right side of the palette, perfect for the ultimate in rose gold smokey eyes. There are a few shades that have bigger fall out than others, but as they're on the lighter side it's so easy to dust them off with a fluffy brush and clean up with a little concealer. Paired with the Urban Decay Primer Potion (of which you get 4 mini samples in the pack) and you've got a potent, long lasting combination that works all year round. The brush is your standard UD affair, with a fluffier end for blending and closely packed settle of bristles on the other for more rigid application of colour. I find this one slightly easier to work with than the Naked 2 brush, but I'm still going to invest in some newer eyeshadow brushes from MAC to make the process a little easier. With any luck I should do a little tutorial with this palette, as it's so easy to work with and could well be my first Get Ready With Me video! Have you invested in a naughty pre/post Christmas treat? 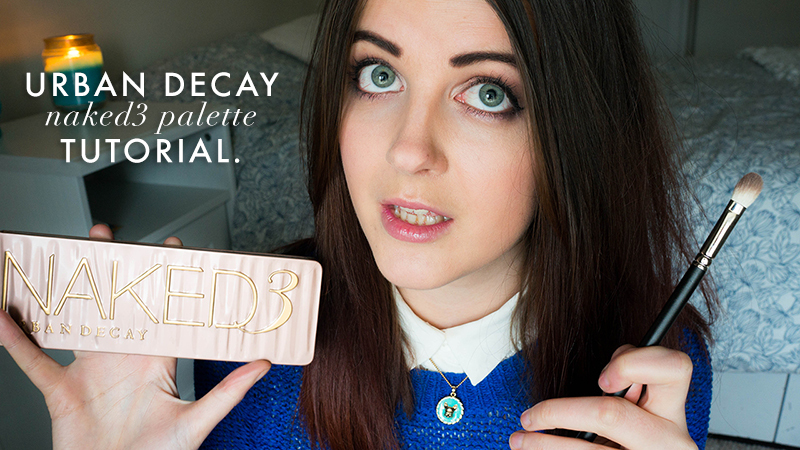 What do you think of Urban Decay's choice of colours?